This year will be a whole new nightmare at Busch Gardens Howl-O-Scream®. Fear returns to Tampa Bay for 19 nights with new haunted houses, including a 17 and older (recommended) experience that takes “screams to the extreme.” From new scare zones to creepers on coasters, an air of fear will consume the park until there is nowhere to hide. Howl-O-Scream 2018 runs select nights from Sept. 21 through Oct. 28. Operating event hours are 7:30 p.m. to 1 a.m. This year, tickets start at $39.99, plus tax; and exclusive offers are available for Busch Gardens® Pass Members. By merely stepping inside, you have agreed to play Simon’s sick and twisted games. Entering this horrifying realm requires a journey through the Meat Market where cannibalistic creatures feast on the weak as they add to their Monster Menu of human hors d’oeuvres. Due to the intensity of Simon’s Slaughterhouse and the Meat Market, this area of the park is suggested for a 17 and older audience. Scares are everywhere throughout Busch Gardens as creatures of the night roam the park. Not a soul is safe as Howl-O-Scream’s scare zones strike fear into the hearts of all who pass through. 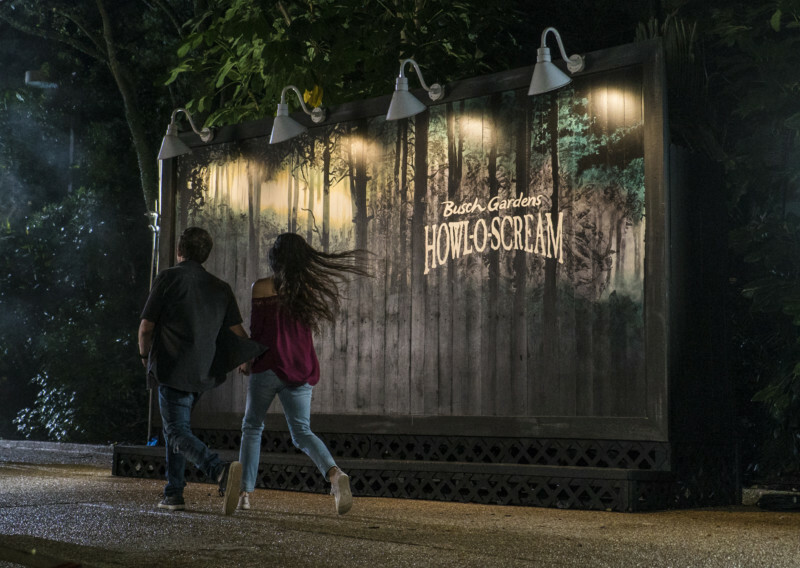 For the extreme Howl-O-Scream fanatic, a Front Line Fear pass grants access to all haunted houses and special discount offers throughout the park. Front Line Fear is available each event night for $35. Additionally, out-of-towners can take advantage of great getaway packages, like the Overnight Fright or Wild & Wicked Weekend packages. Howl-O-Scream 2018 is a separately-ticketed night event. No costumes are allowed. For guest information, visit HowlOScream.com or call 1-813-884-4FUN.